10 weeks of Little Things, hurrah! I’m so glad I started writing down a list of little things at the beginning of the summer as I love rereading them and hearing about other people’s little things as well. This is my last one in the Scottish Borders for a while as tomorrow I’m moving back to Glasgow for third year. I can’t quite believe I am about to start my third year of university, I’m not emotionally ready and the size of the workload is already beginning to make me fret! 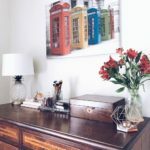 I think I’ll be appreciating the little things a whole lot more once life gets busier again ..
My New Blog Design | How exciting! For about six weeks or so I had been fancying a blog design upgrade as I didn’t feel like my old design suited the current aesthetic of the The Monday Project anymore. I had had my eye on the beautiful Valentine theme from Pipdig for a little while and when I eventually got paid at the end of August, I purchased one that evening. I love the elegant look combined with the natural green, I think it looks really fresh and clear. Lemon & Courgette Loaf | Emma and I met for coffee last week in our favourite Kelso cafe, The Cream Chimneys. I’ve raved about that cute little place all summer but this time I eventually sampled one of the cakes, having previously only been for lunch. We both chose the lemon and courgette loaf as it looked gorgeous and I love anything lemon flavoured. It was probably the nicest cake I’ve ever had tbh. 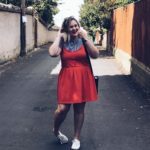 Tour of Britain | My Sunday went from being super sleepy, y’know, I was gonna make some crumble, do some blogging, watch some tele before heading out for dinner to hurriedly getting dressed and heading into Kelso to meet Emma to go watch the Tour of Britain. I of course knew that the tour was passing through this sleepy country town on that day but hadn’t given much thought into attending. It was buzzing, such a nice atmosphere and it was really exciting to see all the bikes, especially as the second time they passed through they went across the finish line for today’s race! We also headed to the Garden Centre for a quick bite and shared some traybake in-between the bikes passing through. A super lovely Sunday! Strike: The Cuckoo’s Calling | I love BBC dramas and Strike is probably one of my most favourite, ever. As we all know, I love a murder mystery and I love a detective series so Strike fits in perfectly. Tom Burke is brilliant as the private investigator and I love the slow burning possibility of a romance between Strike and his assistant, Robyn Alcott. The Cuckoo’s Calling was so well done, telling the story of the murder of Lula Landry as investigated by Strike, over 3 parts and I am so excited for the next story, The Silk Worm, commencing on Sunday night! Work | I never thought I would be putting work on my list of little things but the last few weeks or so haven’t been all that bad. At times it is still boring but since Shelby and Erin joined as lab attendants, it has been a whole lot rosier. It is weird as I feel like I’ve known them for ages and we get on so well and I’m actually really sad to be leaving and going back to uni as I’ll miss seeing them everyday. Haggis & Cheese Panini | On Thursday lunchtime, we went out for lunch at work to Milestone Garden Centre near St Boswells and I had a haggis and cheese panini. I used to have these all the time when I was at school and went to the Baguette Shop daily for my lunch but since uni, I haven’t had one as much. It was so freaking good. I love haggis and I love cheese so they make a perfect combination. The Cobbles | The Cobbles is officially my new favourite restaurant in Kelso. I hadn’t ever really eaten there before but I did work there a couple of years ago. I’ve now been twice in the last two weeks and I can’t wait go again. Emma and I had a table upstairs which meant it was a lot quieter and more relaxed. They gave you complimentary bread (!!) as well. I had a gorgeous ham hock and chicken terrine with sourdough toast to start, followed by a cajun chicken burger and a scoop of butterscotch ice cream to top things off! The Fisherman’s Arms | Following on the food train, a close contender to The Cobbles is The Fisherman’s Arms in Birgham. Steph, Kirsten and I dined there on Sunday evening for a catch up and I didn’t expect the food to be so good. They gave you a complimentary olive/jalapeno/sundried tomatoes/bread platter (!!!!) which quite frankly blew me away and being a pig, I ate the most. I had a fish chips for dinner followed by the chocolate fondant which went down a storm with all three of us. 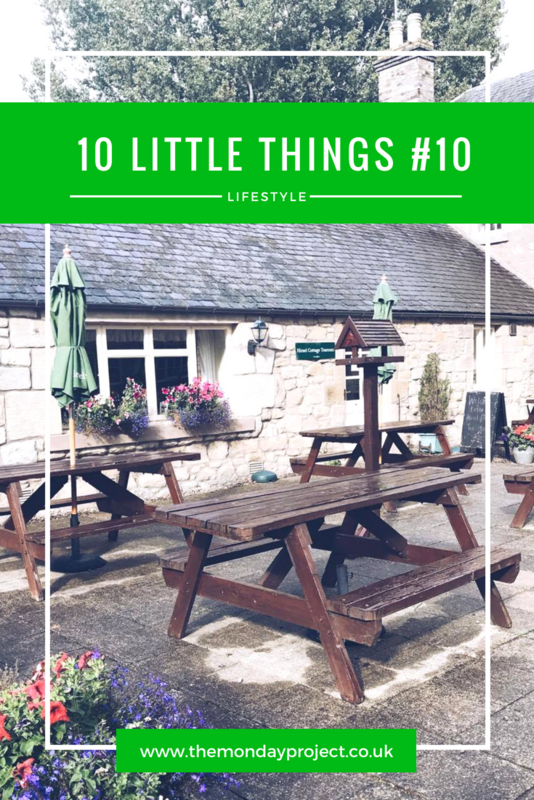 It was such a lovely relaxed atmosphere of a country pub and the staff were so friendly. The Farming Life | So the best TV programme ever is back on TV. The last season was such a hit on the BBC and I’m so glad to see a programme which is easily accessible but shares the true face of farming. It is so educational and despite having a farming background, I still learn loads every single episode! I love how it portrays a rural lifestyle and shows several different aspects of farming: from farming on Mull, to a croft in the Highlands, to a buffalo herd, to arable farming. I can’t wait for the rest of the series. Plants | I’m moving back to Glasgow tomorrow (very exciting!) and I’m bringing a whole host of greenery with me. I’ve really started indulging in plants this summer as I love bright and fresh they make a space feel. I’ve got about six house plants and a couple of succulents to get me started and I’m hoping to stock up on even more!